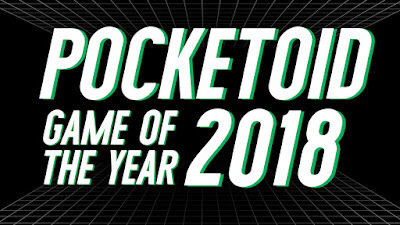 POCKETOID: Pocketoid 107: Games of the Year 2018! Pocketoid 107: Games of the Year 2018! Sleepy boys screwed up their first recording, so we recorded another! We have a Discord now! Come hang out with us! https://discord.gg/yaMmBcP! Addison reviews Kingdom: Two Crowns! Addison and Jordan list their Top 10 Games of 2018! We answer your awesome questions about games we played in 2018! Thank you once again for an INCREDIBLE year! 2018 was definitely the best year of the show by far and we can't wait to see what 2019 holds for us! What were your favorite 2018 games? Let us know on Twitter or Facebook!